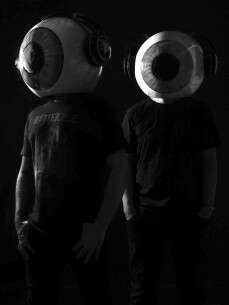 Born on the European EDM scene by two electronic music producers with a 10-year solid experience, the Eyes Of Providence project started in 2012 as a strong musical proposal with an astonishing look and a stunning visual show. Their debut single, “Party Time”, reached the top positions of the main Spanish charts, as did their second track, “Someday”, which reached the #1 spot on Maxima FM and broke into the European charts. They are also well known for their remixes for artists such as Snoop Dogg, with the great “Boom”, and Krewella’s “We Are One”, which has already become a major hit. As a much sought after name in the EDM industry, EOP have played many of the major festivals and clubs over the last few years. Venues and festivals they have played include the likes of 4every1, Maxima OpenAir Tour by Pepsi, Pilares Zaragoza, Techno House Festival, Life Temptation, Utopia Festival, Arenal Sound, Dreambeach Villaricos, Fabrik and Zoologico Club, among others where they have shared the stage with international artists of the calibre of Steve Aoki, DVBBS, Deorro, Glow in the Dark, Army of Universe and Basto. In 2015 they signed for DoctorMusic.dj. This exciting, new adventure kicked off with the release of “Renegade” and a residence at Life In Color at Privilege Ibiza. In May 2016 arrives their single “Razor Blade”, featuring the powerful vocals of singer Adassa. Fierce, moving and intense are the best words to describe this latest relase by Spanish dance music act Eyes Of Providence. They finished 2016 with the release of their second E.P., the international “World Wide”, whose single “Bipolar”is already in the main charts of Dance stations. 2017 starts with the creation of their own label “Bass Religion” and a collaboration with Dimitri Vegas & Like Mike and Diplo, releasing a remix of “Hey Baby” for the Latin American market. Their spend June touring for the very first time in the Asian Market, a successful tour with sold outs in 15 cities of China. Their also release their summer single “No Tomorrow” that is being air played in the 2 more important dance music radios in Spain.